Every April, top students of North Iowa Area Community College are recognized for their scholarship, leadership and character during the NIACC Alumni Association’s Annual Pathways to Success Luncheon. An accomplished graduate of the College is invited back each year to share his or her “Pathway to Success” with the honored students and general audience. The speaker receives the NIACC Outstanding Alumni Award for that year. NIACC Distinguished Alumni Awards are also presented during the event. 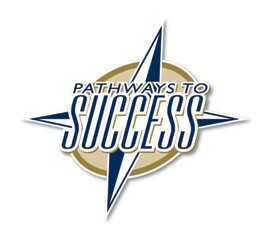 The Pathways to Success Luncheon is sponsored by local businesses and organizations. Below you will find information about those who have been recognized as part of the Pathways to Success Program. (It is current at the time they were recognized.) Congratulations to all of our honorees!